'Cherokee Purple' is said to have been given to a Tennessee family by the Cherokees over 100 years ago. This treasured tomato has just the right balance of sweetness and even a hint of smoke, making it a winner in taste tests. From summer to fall, you'll harvest more than enough 10–12 oz. 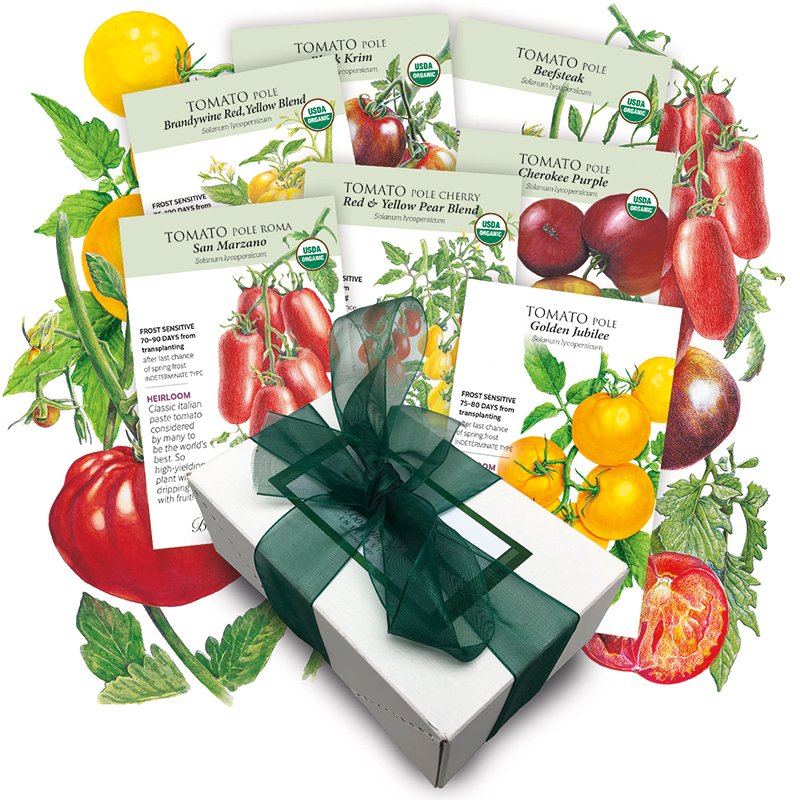 tomatoes from this well-regarded heirloom variety. Provide support for vigorous vines that reach 6' or more. Variety Information: 10–12 oz., thin-skinned rose/purple fruits with brick red-colored interior. 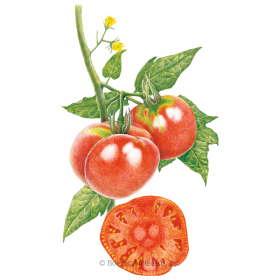 It is said that in the late 1890s, Native American Cherokees gave seeds of this tomato to someone who kept the line alive. 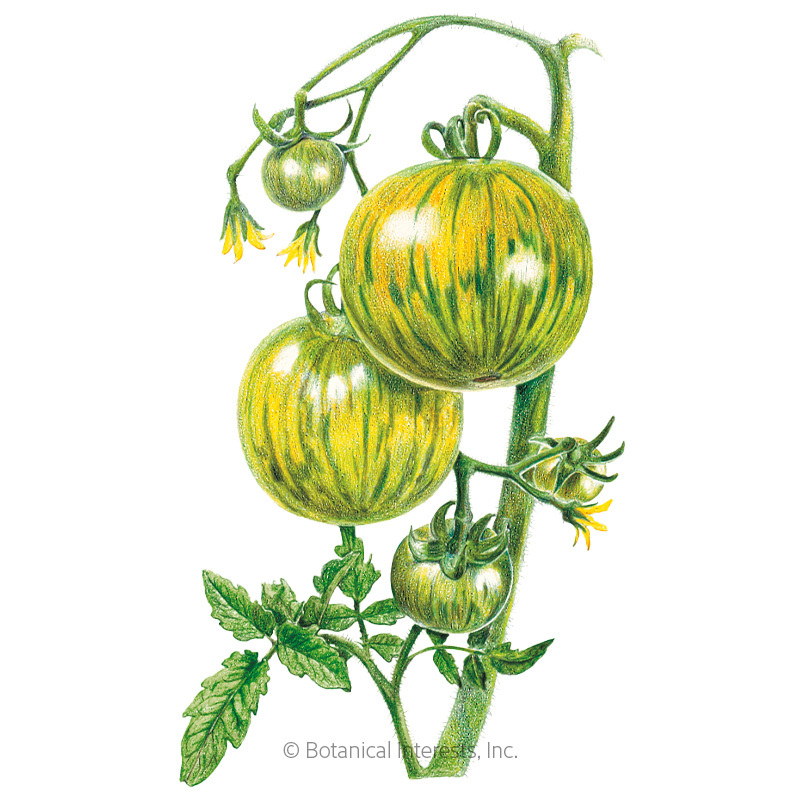 One hundred years later, the tomato was revived, and the seeds became available to the public through retail sales. Harvesting: 'Cherokee Purple' tomatoes are at the peak of sun-ripened deliciousness when fully colored and have a slight give when gently squeezed. 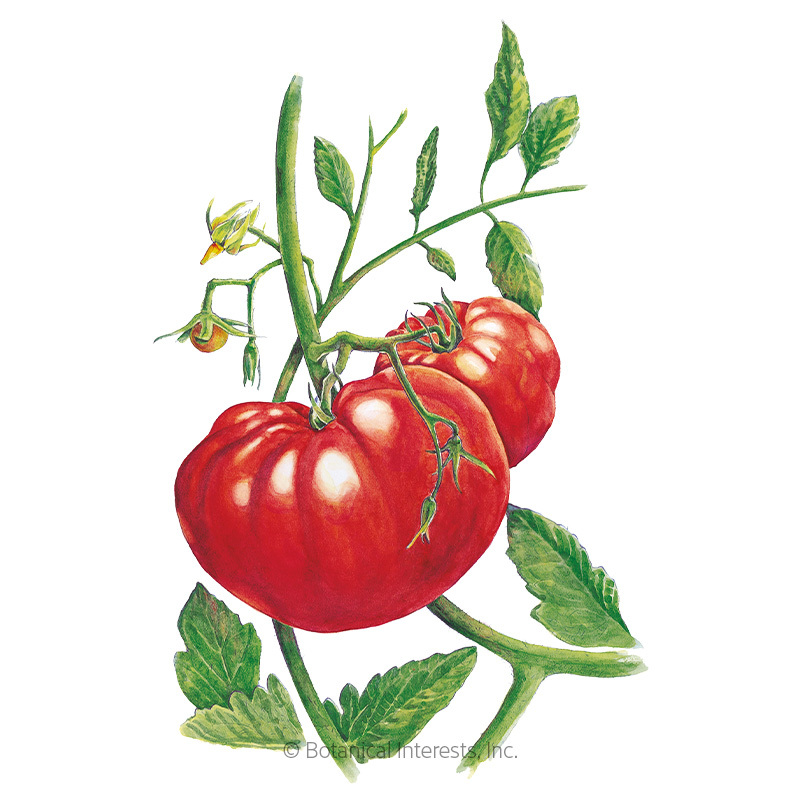 These are large, pretty tomatoes with an unusual sweet, smoky flavor- great for burgers and salsas. 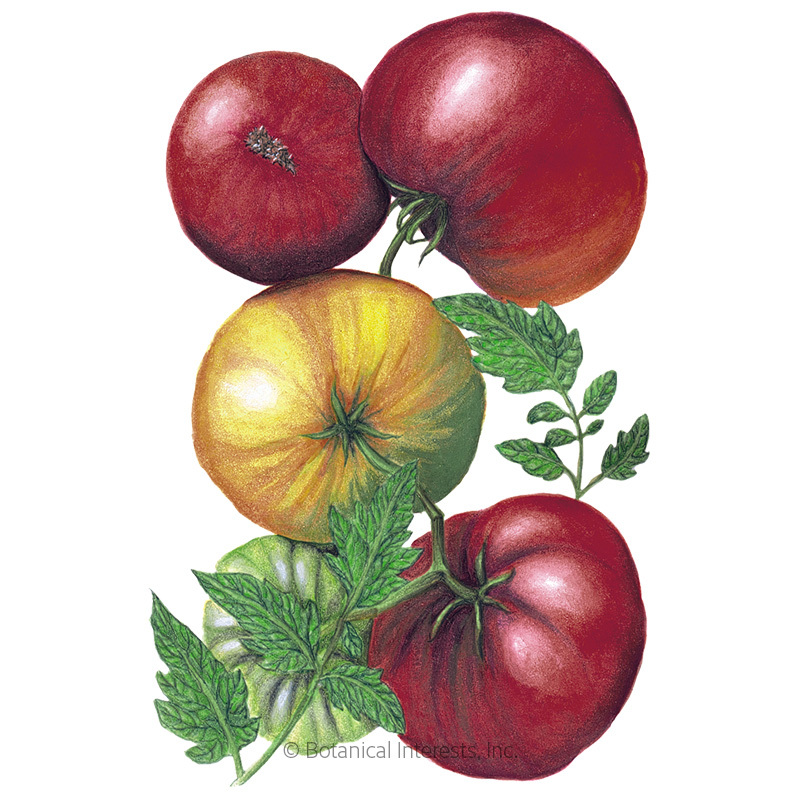 One of my favorite heirlooms for flavor and appearance.